Much innovation occurs by incremental improvements in technology. Jet engines gradually replaced piston engines in the aircraft industry. Cathode ray tube television sets have been replaced by flat screen televisions. Many innovations only work when they are part of a collection of co-ordinated changes that are adopted across a number of industry participants. The components needed to make some innovations work may exist in other fields. Industry participants and product developers can benefit from the skills of system integrators to locate components for a viable design made up from a collection of products that will work well together. The technology capabilities of The Royal Society for the Protection of Birds, "Tracking seabirds to inform conservation of the marine environment" suggests a way to overcome the quite real concern of the Federal Government that electric cars will hit its bottom line by driving a fall in fuel excise revenue. 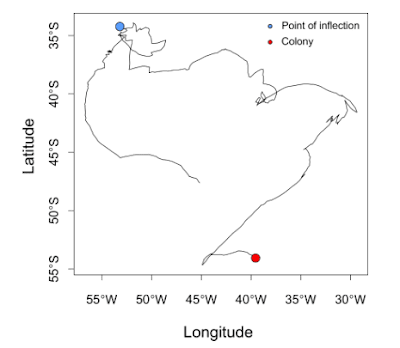 Advances in the miniaturisation and mass-production of low-cost, lightweight, high-precision GPS tags, enables tracking the detailed movements of large numbers of seabirds, including some of the smaller species. The existing fuel excise that funds roads is raised in proportion to the amount of fuel motorists buy. Motorists who drive only during off-peak times on regional roads pay at the same rate as motorists driving on expressways in cities during peak periods. A replacement technology that can measure the time, distance and location of trips may be sold on the basis that it is more equitable than the existing fuel levy that contributes to road funding. Mass production of batteries for electric vehicles will drive a significant reduction in their manufacturing cost. There is an opportunity to combine this predictable reduction in the cost of lithium-ion battery energy storage with the continuing decline in the price of solar photovoltaic (solar PV) systems. The two technologies don't immediately work well together when people typically drive to work early in the morning and return home late in the day. Any solar energy generated at their home during the day cannot be conveniently used to recharge their electric vehicle. This technology makes an electric vehicle's battery pack an interchangeable unit: "6 Reasons Tesla's Battery Swapping Could Take It To a Better Place." Having an electric vehicle battery at home being recharged during the day allows energy in the battery to be partly discharged at times when spikes in the energy demand exceeds the output of the solar PV system, such as an air-conditioning turning on for 20 - 30 minutes late in the afternoon to cool the home before the residents begin returning from school and work. Vanadium flow batteries can be charged and discharged almost indefinitely with little loss in capacity. They weigh more than lithium-ion batteries holding the same amount of energy so they are more suited for fixed energy storage than for powering vehicles. Instead of using an interchangeable lithium-ion pack to store solar energy during the day and swapping it with a discharged lithium-ion battery pack in a car, a vanadium flow battery could be charged with solar energy during the day and the stored energy could recharge a car's lithium-ion battery pack overnight. 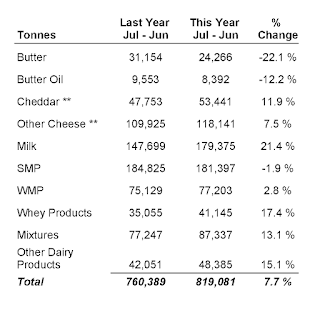 Dairy Australia collects production and sales information for the industry. 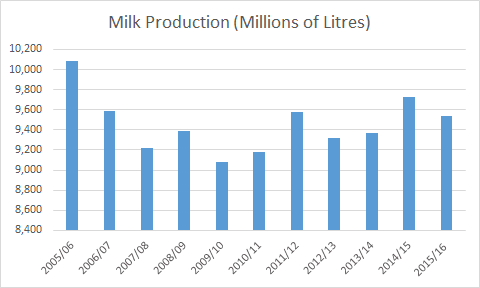 Dairy Australia's information shows no surprising change in production or in demand. A 21.4 % annual increase in the volume of milk exports. 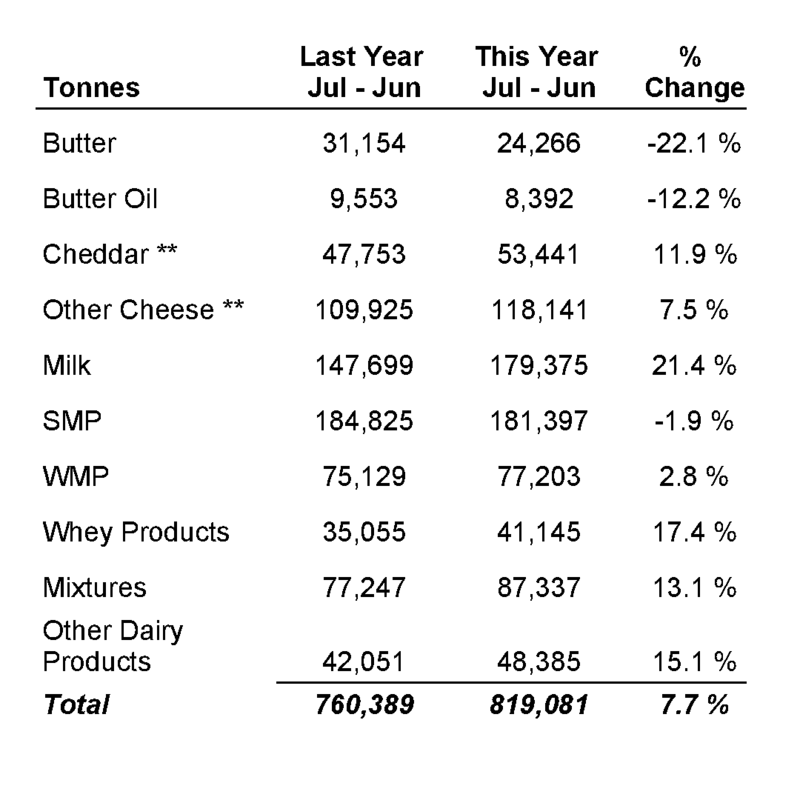 There was a corresponding increase of 19.7 % in the value of these exports from last year (July 2014 - June 2015) to this year (July 2015 - June 2016). 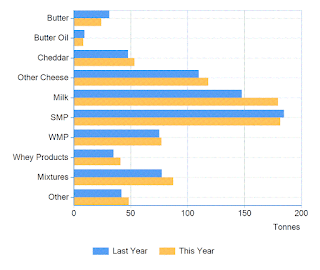 A 63.4 % annual increase in the value of whole milk powder exports. This increased value was obtained with just a 2.4 % increase in the volume of these exports from last year (July 2014 - June 2015) to this year (July 2015 - June 2016). 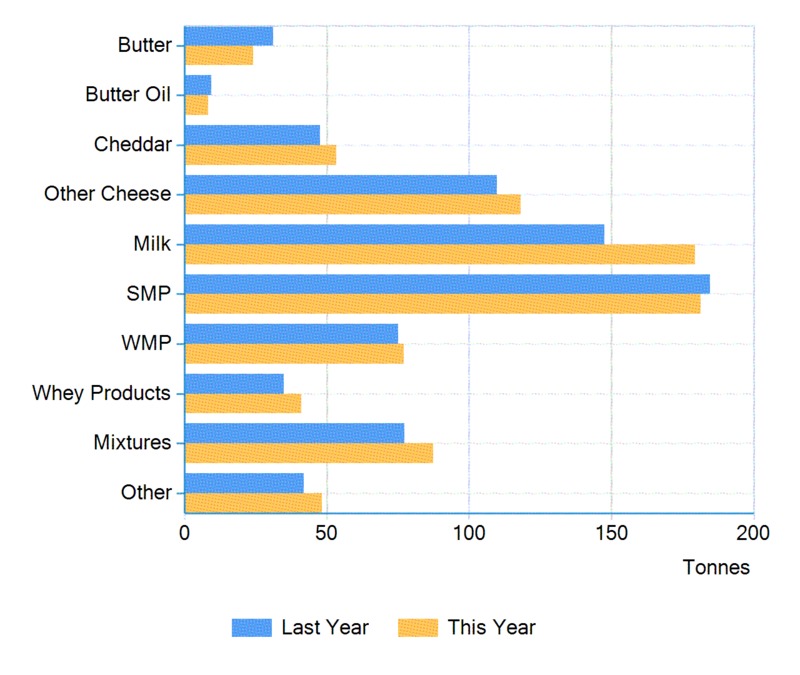 Production fell slightly in 2015/16. A collapse in price can't be explained by an increasing supply.